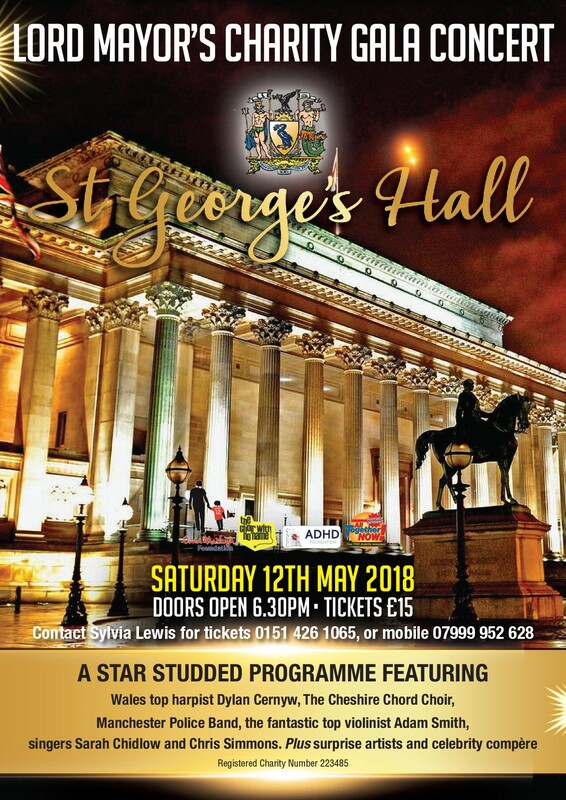 Join us for an evening of gala entertainment in the glittering surroundings of St George’s Hall’s Concert Room as the Lord Mayor’s Charity Concert celebrates its 10th year supporting some very worthwhile local causes. Special guests include music from Greater Manchester Police Band, award-winning acapella from Cheshire Chord Company, electric violin performance from Adam Kornas and Welsh harpist Dylan Cernyw, who has also accompanied soprano singer Kathryn Jenkins and X Factor star Rhydian Roberts at concerts around the UK. 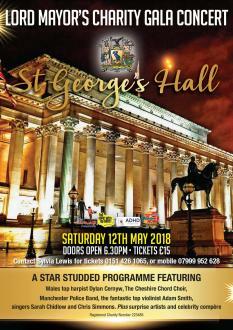 This year’s Lord Mayor’s Charity Concert benefits four charities that make a real difference to the lives of local people: The ADHD Foundation, The Owen McVeigh Foundation, The Choir with No Name and All Together Now!